The lifetime is 15 years + 6 months or 15000 jumps. No company maintenance. No battery change. User and rigger friendly. No company maintenance. No battery change. The user or Rigger easy check. Ones in 12 months control check. You can change your activation altitude, when use Adjust setting. The BEST price at market. The smallest cutter at market. Flat body for better packing. The company MarS a.s. was established in 1992. The production is situated at the three own production plants. 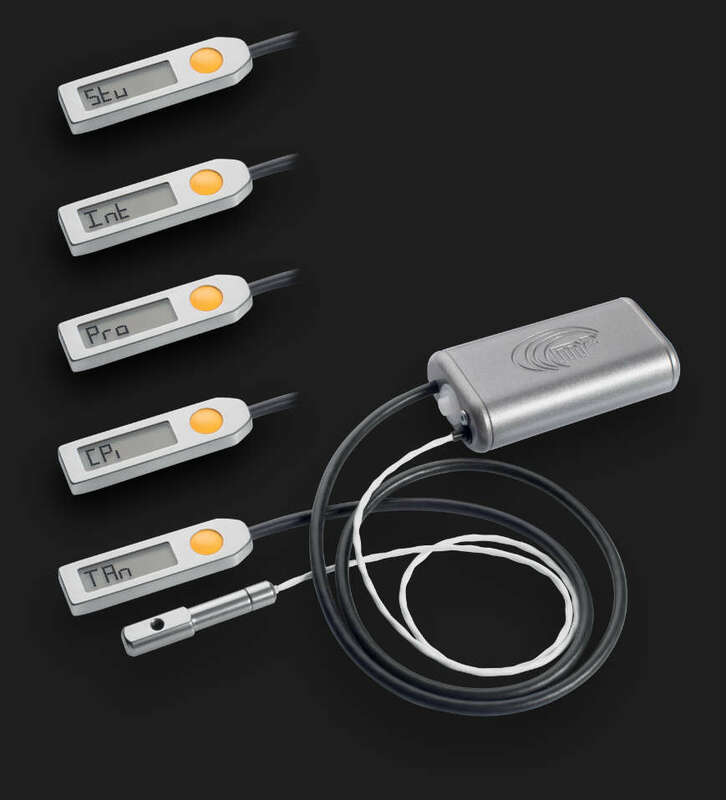 The m² multi is an electronic automatic activation device, operating on the principle of pressure reading. The primary means of detecting the altitude and fall rate is a pressure sensor. The altitude is calculated based on the difference between the two atmospheric pressures. The pressure at current altitude and pressure on landing location “GROUND ZERO”. The pressure on the landing location is measured and set after switching on the device during calibration. This pressure is automatically adjusted by a change in barometric pressure during the day without the need for user intervention. The m² multi checks the ambient barometric pressure every 32 seconds and it determines whether the aircraft has taken off. If yes, it begins to monitor the skydiver’s altitude and fall rate. The pressure sensor measures the atmospheric pressure 8 x per second in free fall. The information collected is evaluated by means of a microprocessor and ingenious software and it is converted to a real fall rate and altitude. Thanks to this, the m² multi-device is capable of meeting the preset criteria of fall rate in combination with altitude above the landing location, cut the reserve parachute closing loop by means of the cutter and thus initiate the deployment sequence. Automatic Activation Devices began to be manufactured in MarS a.s. in 2003. The first device was MPAAD (Mars Parachute Automatic Activation Device). The device has already received a number of activating and many lives saved skydivers. This unit was the second electronic device in the order of the world. Another device is MPAAD Pilot. The device is intended for use in emergency parachutes for pilots of aircrafts and helicopters. For cutting of the closing loops of rescue parachute uses two cutters. The new generation of the AAD represents the unit m² AAD, combining experience in development, production and use of previous security devices. The devices are made with high technologies and use the latest knowledge of skydiving. m² AAD has been on sale since mid-2011. The most advantage military AAD on the market. Better price for instructors, schools, riggers and drop zones.